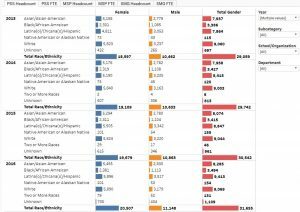 Research shows that groups with higher social diversity (i.e., diversity of race, ethnicity, gender, sexual orientation) share more information, are more creative, and perform better than those with lower social diversity. However, diverse groups may exhibit less cohesion and may encounter greater conflict and communication challenges. How, then, do we maximize the value of diversity and ensure that all group members have an opportunity to meaningfully contribute to the conversation? It all starts with communication. Here are some of the strategies we use in the Office of Equity, Diversity and Inclusion. 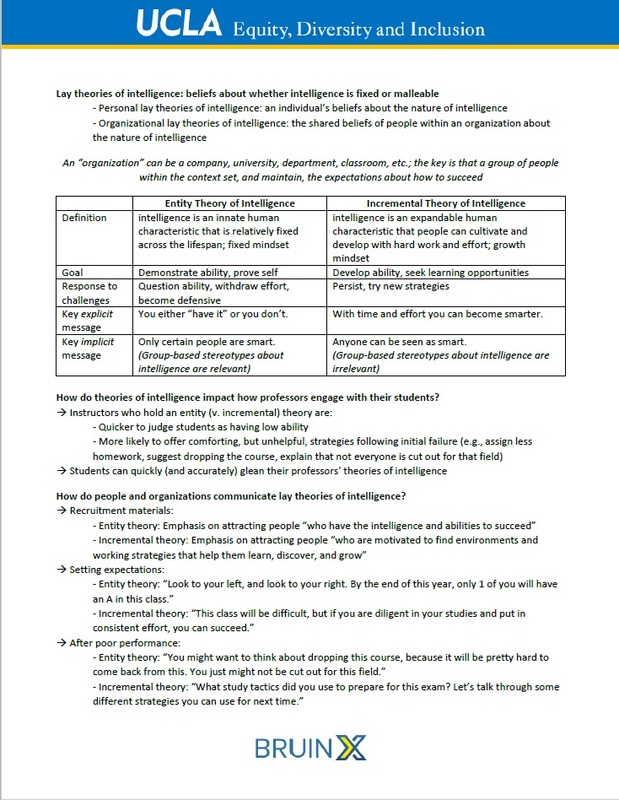 Beliefs about the nature of intelligence influence students’ experience and performance in the classroom. Professors communicate their theories of intelligence in many implicit and explicit ways; decades of research has focused on understanding the impact of believing and communicating that intelligence is fixed or malleable. 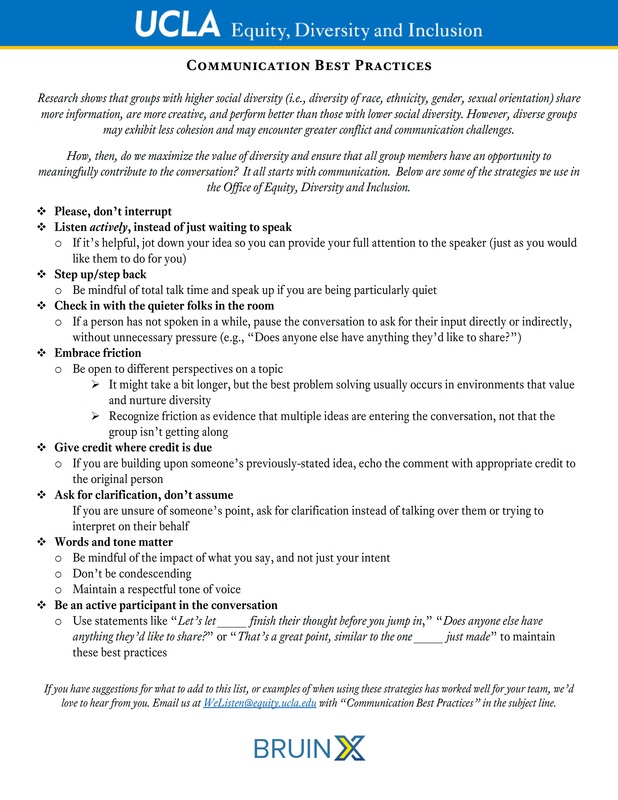 This document is a short primer on how professors can signal to their students that effort and persistence–not group-based stereotypes about intelligence–are the important determinants of success in their class. Whether the class is in a large lecture hall, a small seminar, or a laboratory section, UCLA strives to produce an equal learning environment for all students. Since a negative environment can be an obstacle to learning, it is essential to understand how to create and sustain a positive climate for all students. 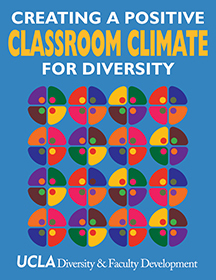 Faculty can build and maintain such a climate by actively incorporating inclusivity in course development, syllabi, teaching methods, and interactions with students. 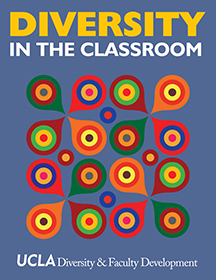 This booklet summarizes studies on the educational benefits of diversity and examines some of the challenges associated with classroom diversity. This document also includes additional references and resources.